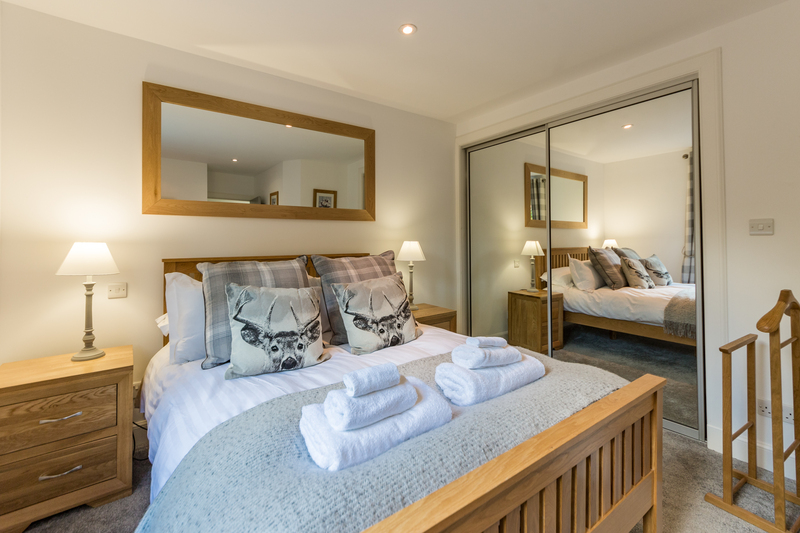 Ben Cruachan has recently been refurbished to a very high standard, the grey and white tones, offer a luxurious feel with a scandic touch. 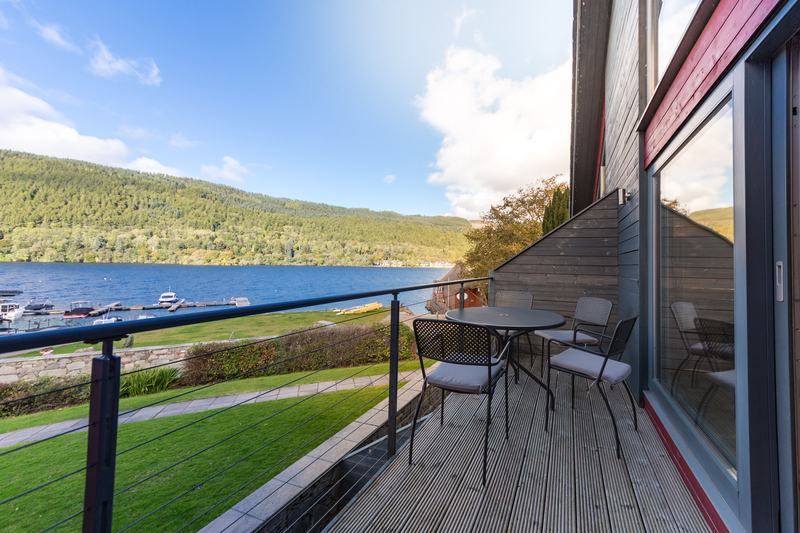 Two bed apartment providing fantastic views over Loch Tay and beyond. 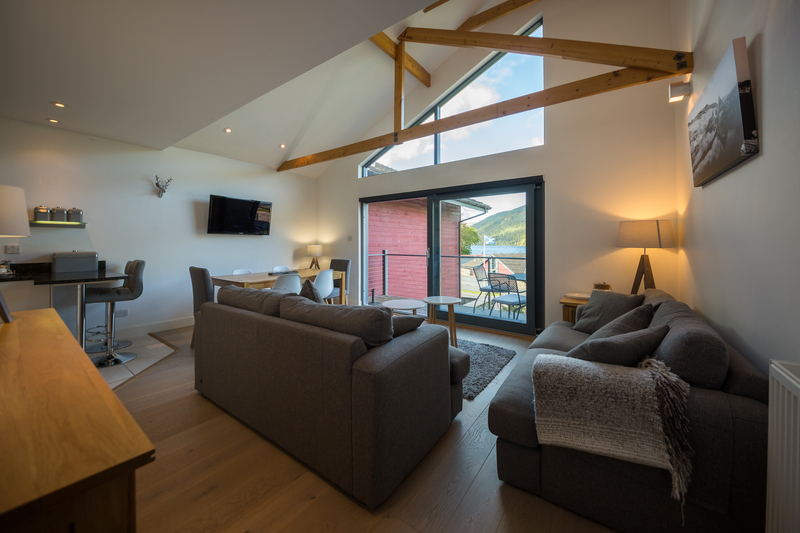 Set over two floors, Ben Cruachan is the perfect place to relax, unwind and watch the sun go down. 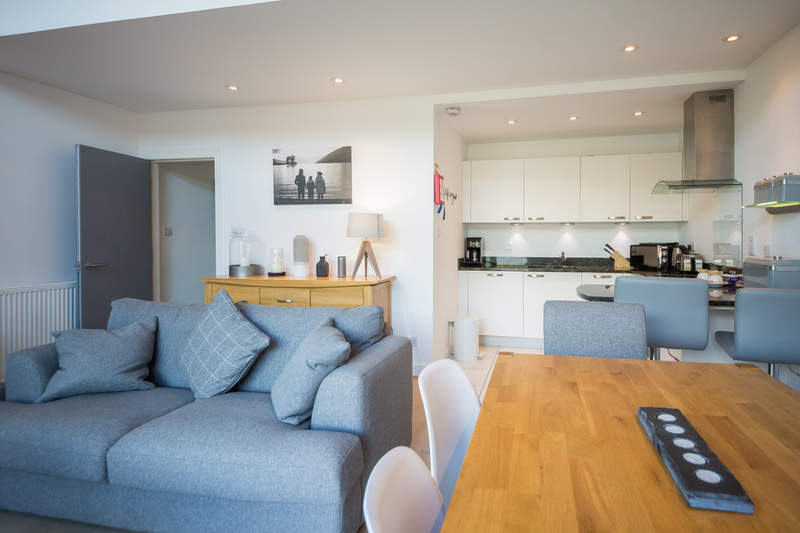 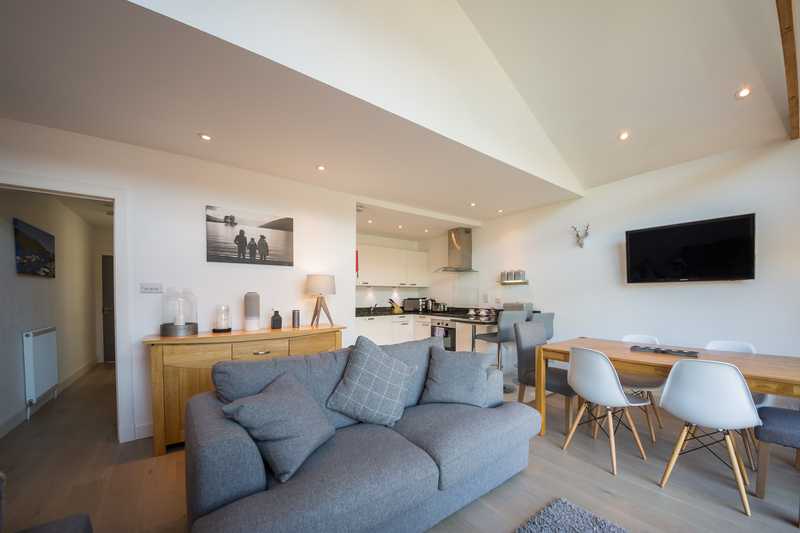 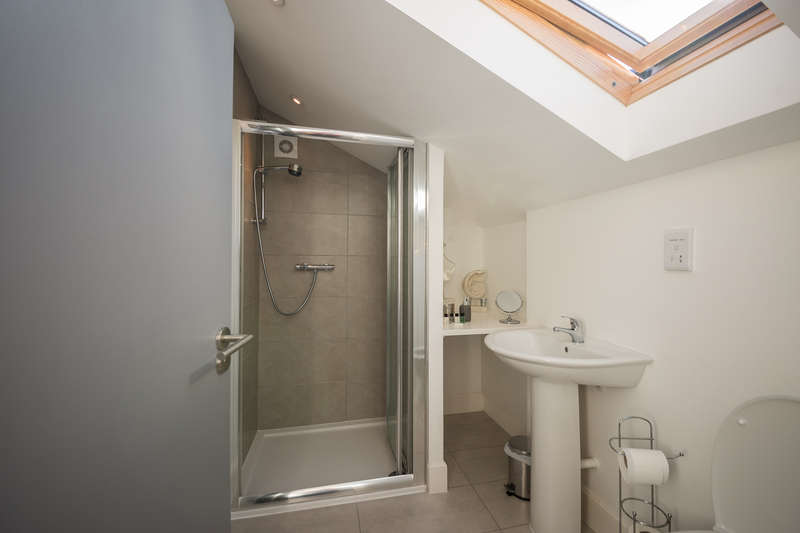 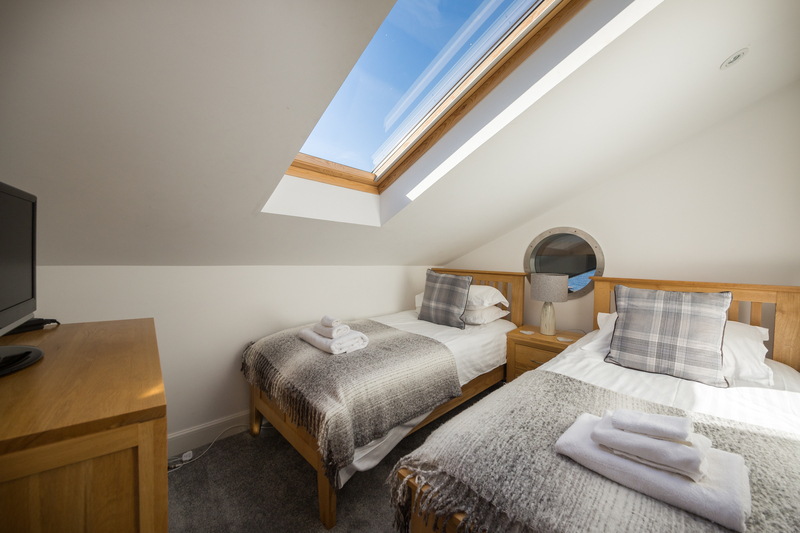 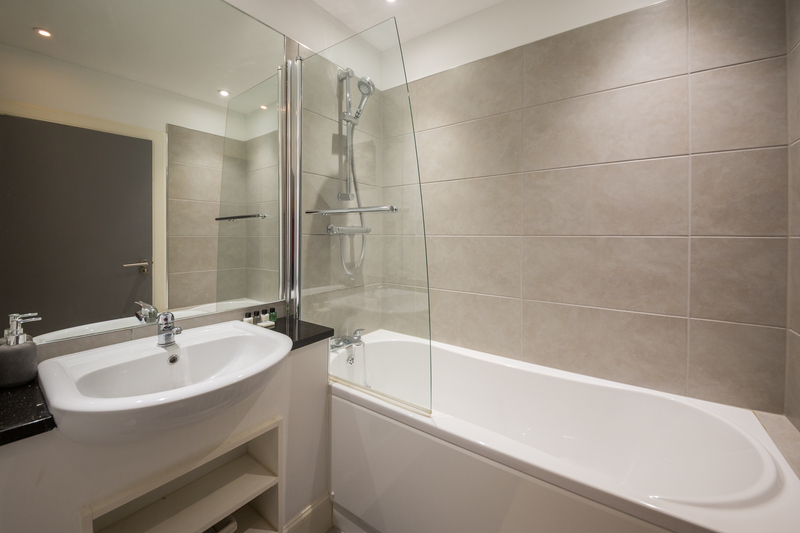 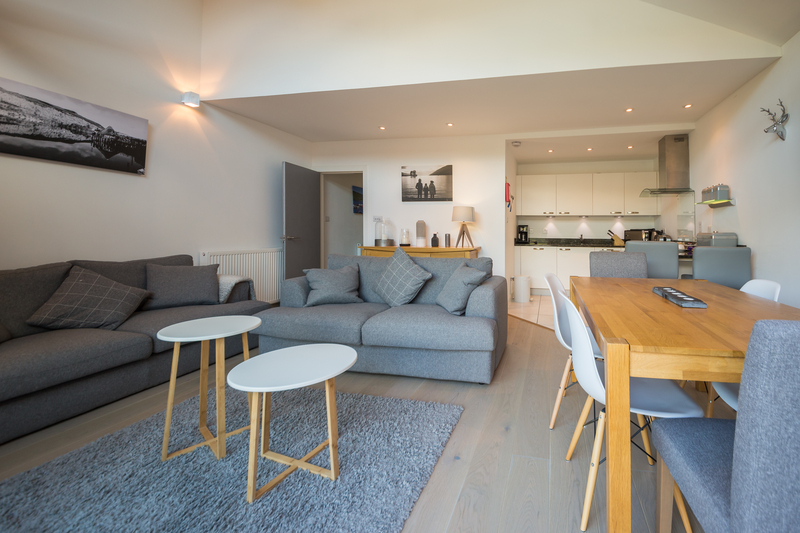 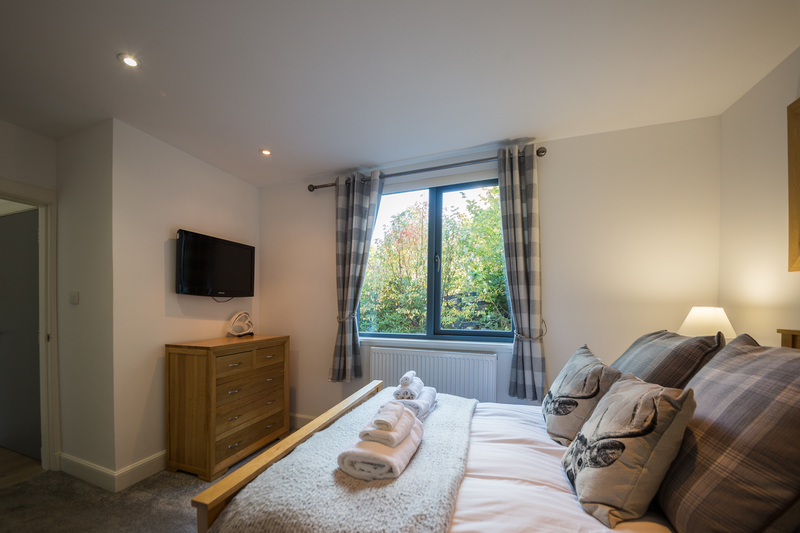 Boasting a master bedroom and main bathroom on entry level, as well as a twin room and shower room upstairs, Ben Cruachan is perfect for up to 6 people. 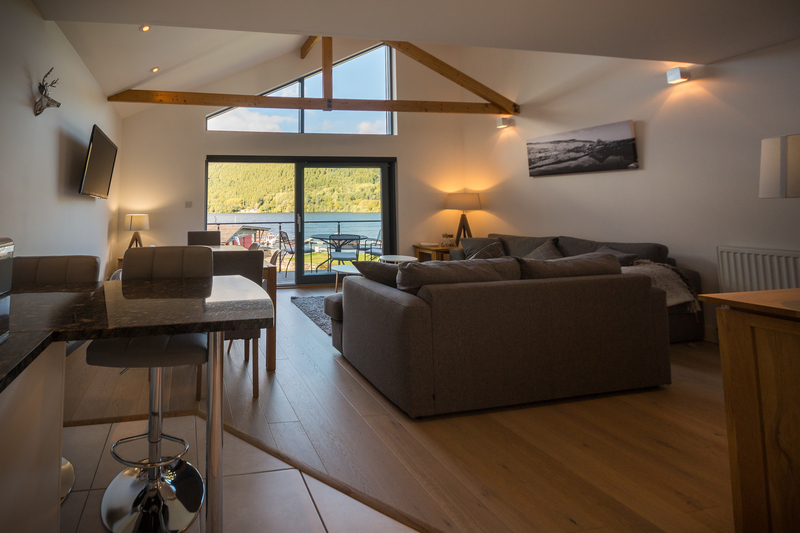 Overhead beams and a large gable window allow natural lighting to fill the open plan living, dining and kitchen area, and provide you with the most magnificent views. 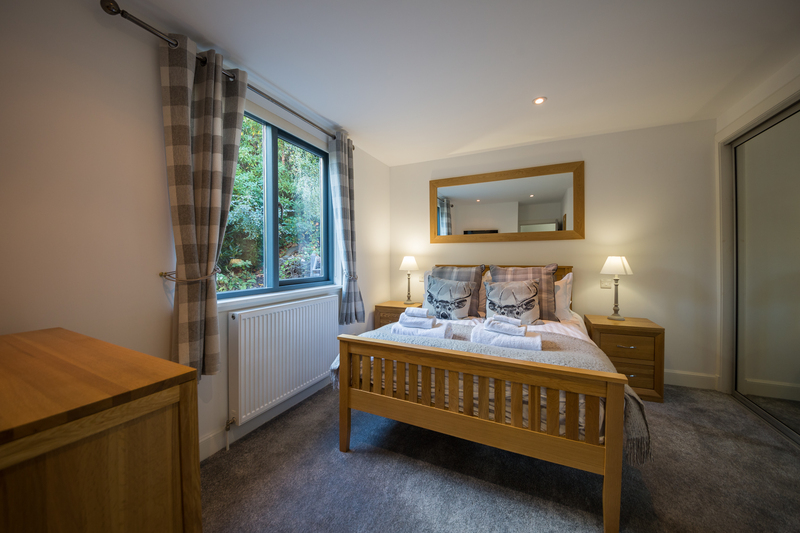 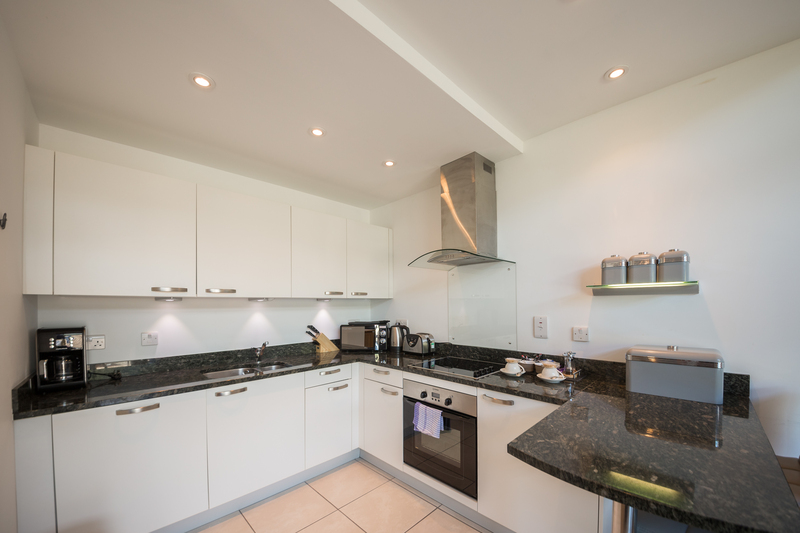 This Property is equipped with a sofa bed wgich can accommodate up to 2 additional guest, (We recommend only using this for guests under 12 years old), Please note there is a one off occupancy surcharge of £50 for this service. 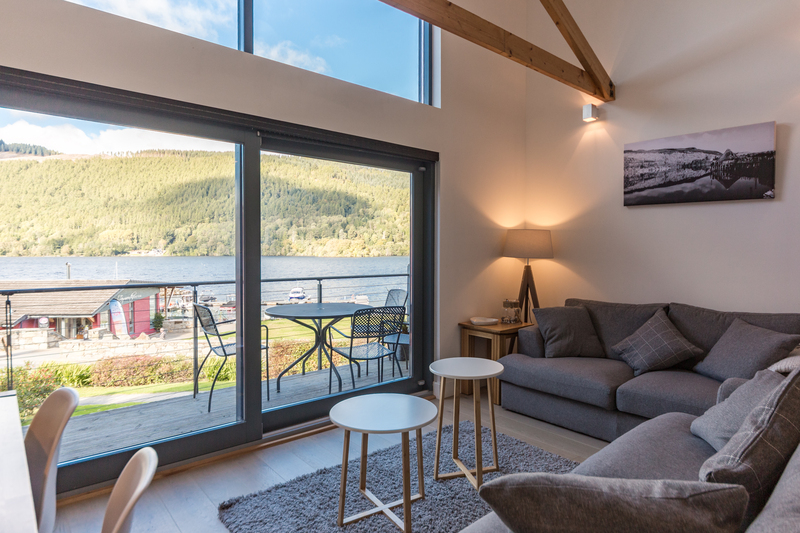 Important: Please be aware we are currently undergoing small building works at Taymouth Marina on specific days through-out the week and for the duration of a few months. 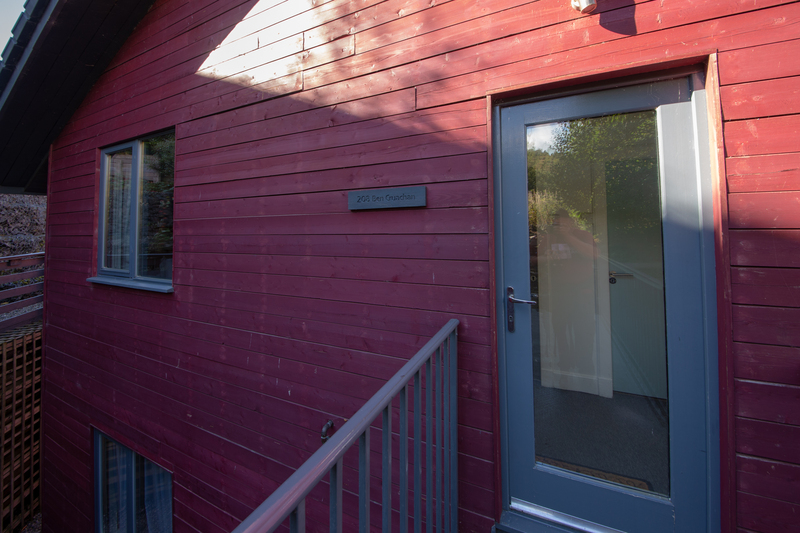 This is temporary and we will do our best to keep any disruption to an absolute minimum.